How do you know exactly about clients’ currency to give suitable suggestion products for them? Fortunately, Magento 2 Price Comparison Extension from Landofcoder coincides with your expectation. It is, therefore, a vital role to push your store’s reputation to a higher position in the race against other websites in the similar field so as to boost your sales. Let’s explore some main unique and amazing functions when utilizing this extension. In fact, the more types of products allowance, the more opportunities to sell and buy products for both store owners and customers. 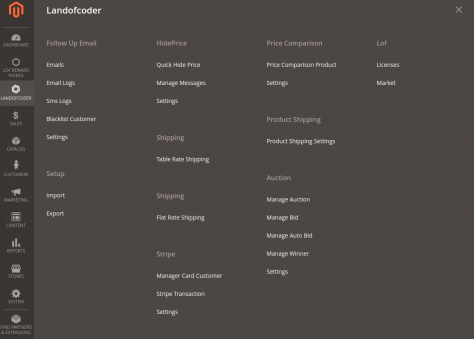 Understanding this trend, Landofcoder Price Comparison is considered as one of the most powerful tool owing to 5/6 types of products provided, namely simple, grouped, virtual, bundle and downloadable product. You are capable of storing and providing your customers a vast of items. It contributes to multi-options for your customers and makes them satisfied with manificiant shopping experiences. 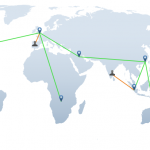 Why This Incredible Extension is beneficial for both customers and vendors? 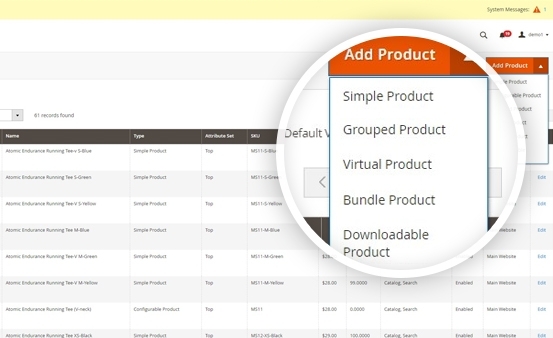 For Admin: It is an easy for you to set different product layouts which are appropriate to your type of products. Moreover, you have never struggled to order information thanks to the most convenient and intelligent way from Checkout tool. For Customers: Firstly, there is the list of some products in a shopping cart so customers can follow with ease. Such a one-click button, they can move any products to the Wishlist as another strong point. 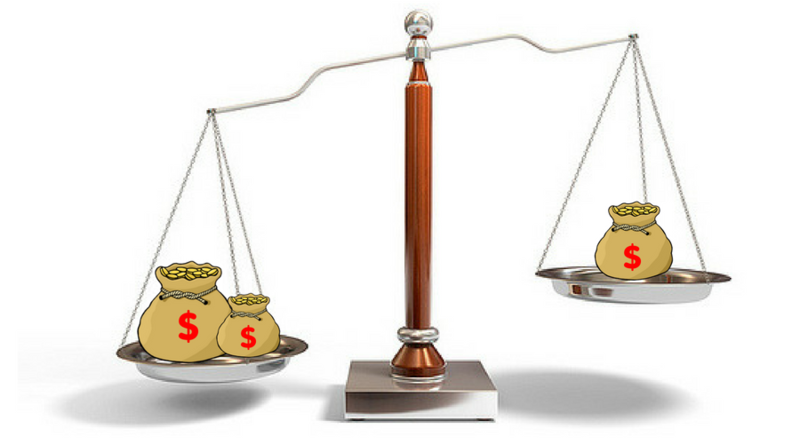 Furthermore, customers have more chances to choose their the best option and order when comparing different product’s price. Finally, our module provides them convenience in order to follow ordering information in the Summary box. 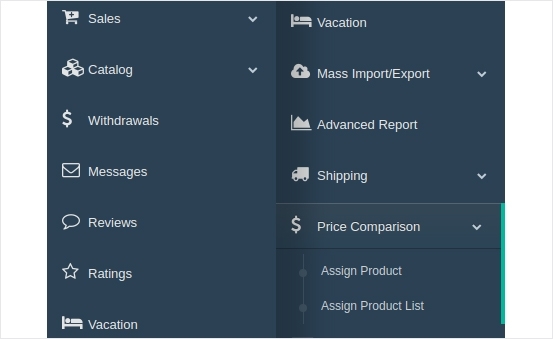 As you can see, in the in the “Price Comparison” item is divided into 2 tabs, namely “Assign Product” and “Assign Product List”. You just enter the product name to assign any products for yourselves. It is extremely convenient manipulation, isn’t it? While assigning you have to enter product details in terms of conditional selection, name, quantity & price and description & upload image. 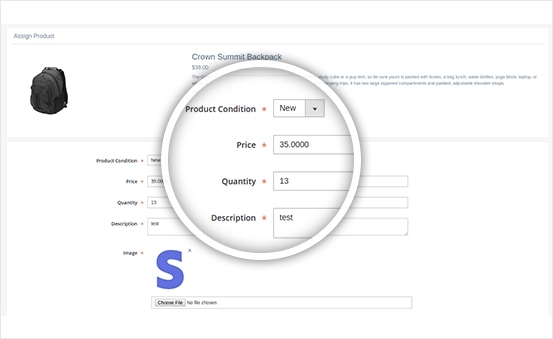 According to the search result, you can select and sell your products with ease. It is advisable for you to create the fullest and the most convenient product page for the transaction between you and customers. Likewise powerful features above, you easily build the functions for your product page just only by one-clicking YES or NO buttons. 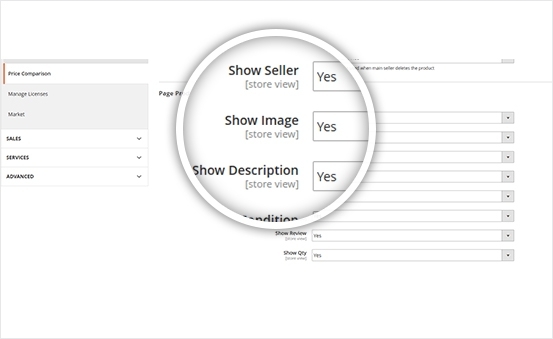 The list of functional settings is illustrated such as Show Seller, Show Image, Show Description, Show Condition, Show Price, Show Add To Cart, Show Review and Show Quantity. 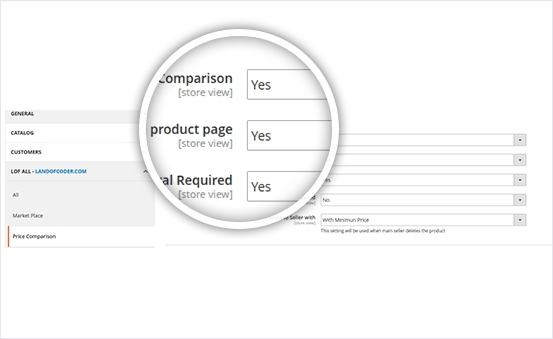 All customers find it time-consuming to see lots of choices for them with only simple typing the key terms of products due to Magento 2 Price Comparison. Besides, shoppers are given a variety of product suggestions for their products. Especially, it is extremely convenient for them to compare their product prices to choose the best and most suitable option. Customers can consider different products before purchasing ones owing to a plenty of information product management such as Product ID, Product name, Seller name, Quantity, Price and Status. 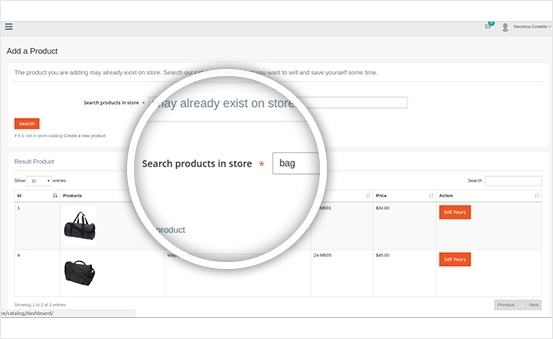 Not only can you add multi-images while adding assign product, update the assigned products and also delete them, but also you can easily assign the product to your account without a new product adding. With the aim of turning you into the most powerful store owner, This Price Comparison provides you all permission of choosing. 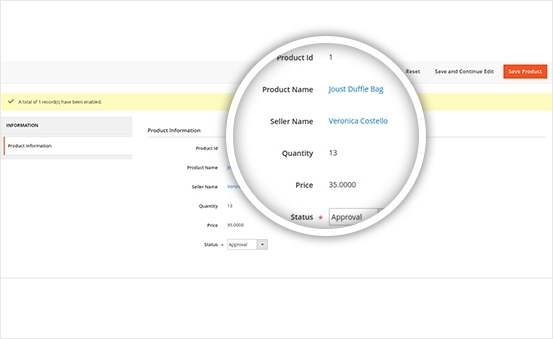 Particularly, you can select types of product to be allowed, attribute set can be used to inherit product information, attribute can be used in filter selected products and other settings. In the management panel, a total of control are supplied with different elements namely: Catalog, Sales, Payment and Amount, Review and Rating, Shipping, Stripe, Paypal Adaptive Payment, Price Comparison. 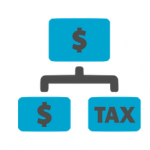 Obviously, price Comparison Extension makes the whole your managing process easier. Custom Work is regarded as one of difficulties for both web users & store owners. You are actually under pressure when sitting for a long time in front of screen to search and learn about customization, aren’t you? 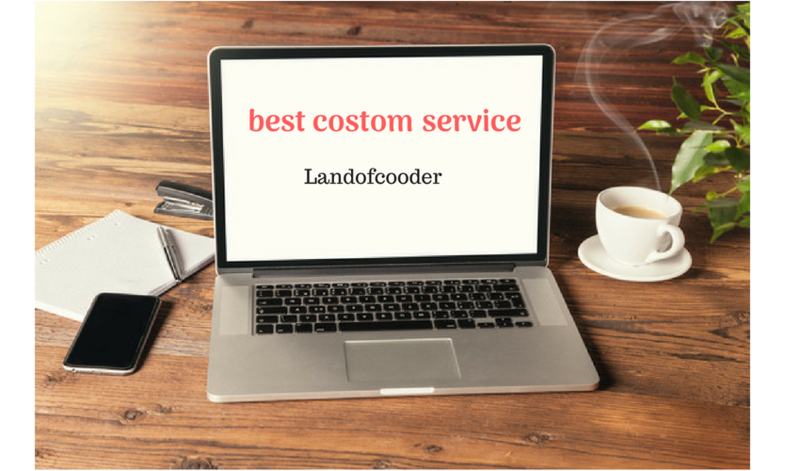 Understanding your problem, we provide attractive custom work service with 2 main types: FREE and paid cost. Specifically, FREE cost is used for simple & less time-consuming custom and $15/hour cost if you want to use complex & time-wasting custom. 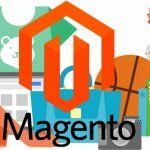 Take everything into consideration, it holds the belief that Magento 2 Price Comparison extension from Landofcoder is the best ideal selection for you to attract customers by comparing price before deciding to purchase products and many more. Don’t be hesitate to contact us if you have any further questions or concerns with our extension to be a brilliant merchant.